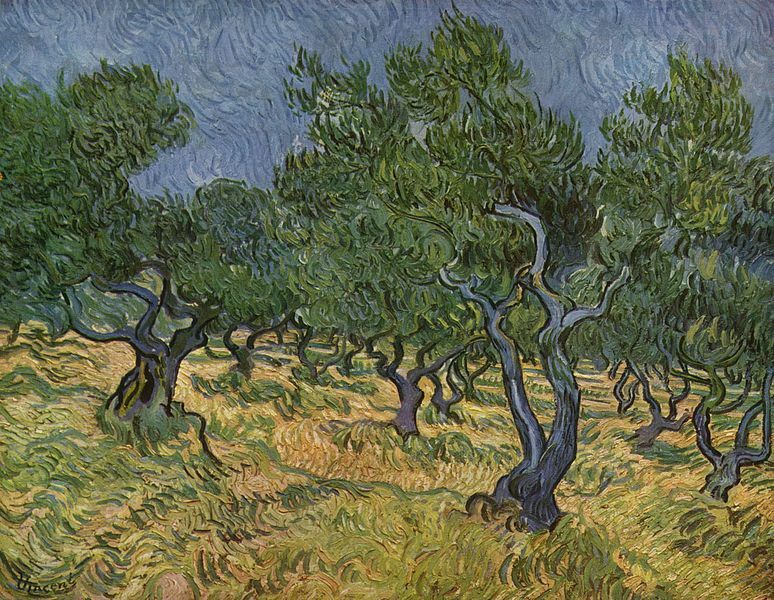 Vincent van Gogh encountered orchards of olive trees in Saint Remy in the South of France . While recuperating in an asylum there between 1889-90, he frequently painted landscapes and scenes of provincial life. 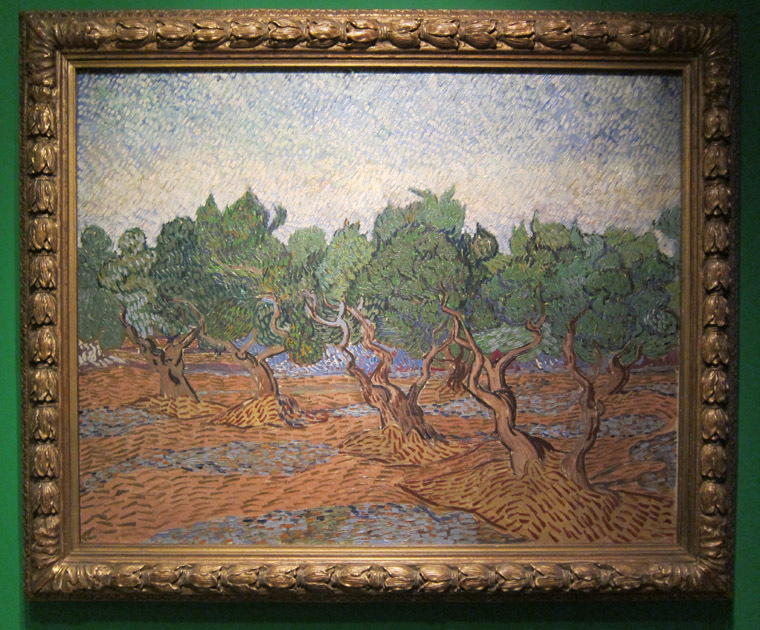 Van Gogh completed 18 paintings of olive trees or olive harvesting which I find surprisingly low considering he was completing a canvas a day toward the end of this career. Some have accused Vincent van Gogh of being a “poor draughtsman” because his drawings are done with excessively curved lines and stray from exact representation. I assume this was an obvious stylistic choice as one often finds his curved outlines accented and emphasized with pairs of lines, short dynamic lines or concentric curved lines. This method of drawing naturally mirrors the motion and outline of a twisting olive tree which really highlights the beauty of the tree trunk and branches. The inherent variety of colors in the foliage of an olive tree and the aridness of the soil in which they typically grow would have been exciting subjects for an artist who studied color and the emotional affect of color in this paintings. Vincent van Gogh’s vibrant olive grove paintings range from cool blues and greens to parched reds and yellows. And so I had to spend a little extra time this visit with the olive tree paintings. 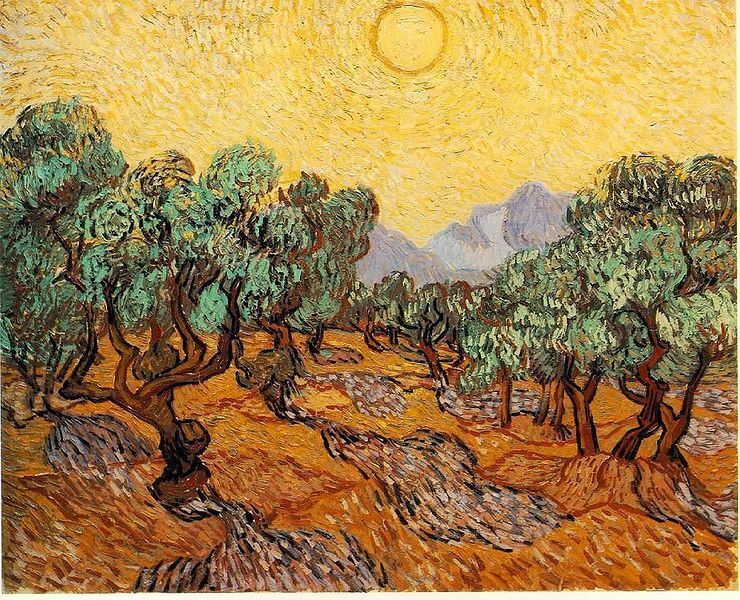 Between the motion and color of Vincent van Gogh’s work, I think he came very close to expressing the rough physicality and beauty of olive trees. As a whole, these works study how the changing light over the course of a day alters the appearance of the olive tree. If that’s not worth a second look in a museum, I don’t know what is. Oh Van Gogh is so amazing. When riding in Provence in the Luberon, I could see what he saw. it is glorious. 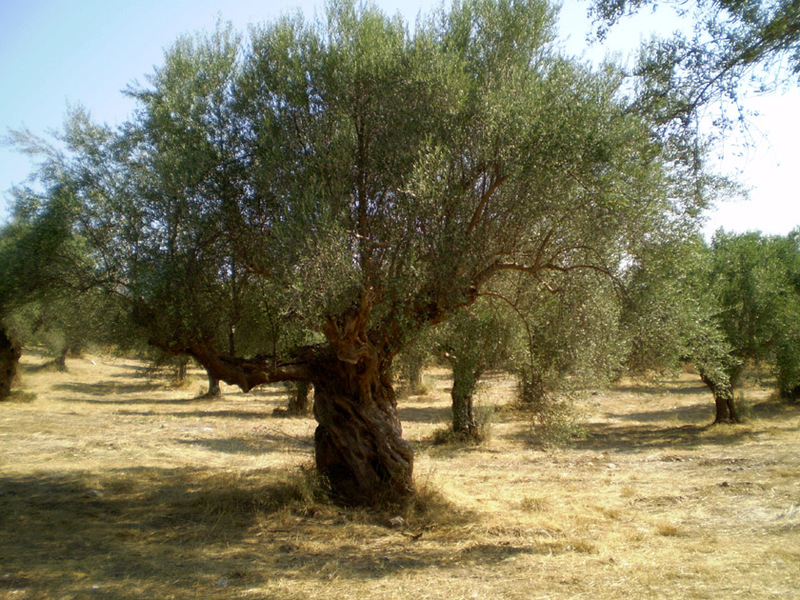 Here’s a picture of an olive tree that you might be able to use. Mystra in Greece. wonderful. Great post. makes me want to be in Greece in the sun, eating olives and aubergines & drinking retsina wine. I haven’t seen the van Gogh S. of France pictures for ages, great to be reminded of them, the sense of light and he catches the trees so well. Also loved the post above, on Dutch interiors. You know, I had my hair cut today, by a guy who’s – he told me- is off to Amsterdam the next few days. So, i said how lucky he was, to be able to catch the new, re-opened Rijksmuseum. and he said “what, who?” so I said “well, you know, all those Rembrandts and Vermeers”. He told me those old painter guys were probably over-hyped, nothing special, just trading on reputation. I had to bite my tongue! Glad you liked the post on olive trees. They are interesting subjects and I really enjoy Van Gogh’s studies of them. 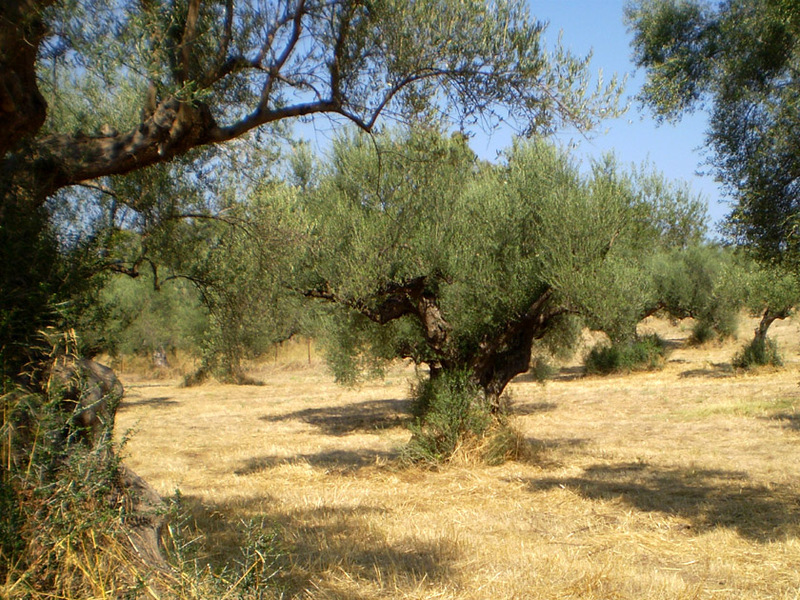 I stumbled upon your blog on Van Gogh & olive trees. It was during my honeymoon in France in 1996 that I walked amongst the olive trees in St. Rémi de Provence, the exact place where VG painted them. I had a faint idea at the time about the artist and I fell in love right away with the place and the artist’s works.I went back again to St- Rémi in 2012 and spent a good amount of time in the olive tree grove and the cloister where VG was interned. That sounds so amazing 🙂 I can’t wait to see St-Remi someday. Thanks!